South Africa has achieved a lot in the past 25 years that we can all be proud of. Before 1994 South Africa was sanctioned from many international activities, including sports, trade and travel. This had an impact on the tourism culture of the country because of the political climate at the time. The country was not considered a safe holiday destination and neither was it easy for South Africans to travel abroad. The movement of black South Africans was monitored through pass laws and recreational areas such as beaches and natural parks were often only reserved for white people. Today, the South African public holidays are a commemoration of the struggles the country has overcome to achieve a democratic country where everyone is equal and welcome. For example, on 21 March we celebrate Human Rights Day, which is linked to the events that took place in Sharpeville on this day in 1960. People of colour (black people) had to carry a form of a “pass” document in order to gain access into main city centers and neighborhoods which were reserved for white people. Failure to present this document resulted in people remaining in police custody and being subjected to police brutality. On 21 March 1960 hundreds of people were killed and wounded when the police opened fire on protestors protesting against the pass laws. The 27th of April is celebrated as Freedom Day. On this day in 1994, South Africa held its first non-racial democratic elections and this opened the world to the South Africa that we know today, where people are able to vote regardless of their race, religion, culture or political affiliation. This also marked the introduction of a new constitution, governed around the protection of human rights. Since 1994, there has been a shift that has seen South Africa become one of the most popular holiday destinations in Africa and the world, not only because of the unique history, but also due to the extraordinary and diverse tourist attractions that the country has on offer. Today South Africa is not only a land of many opportunities, it boast as the economic hub of Africa, a country with multi-talented sports stars, fashion and leading academic institutions which continue to draw people from near and far to invest in South Africa, particularly in travel and tourism. In 1995, South Africa hosted its first Rugby World cup since being a democratic state. The victorious national rugby team, the Sprinboks won their first world cup when they defeated The All Blacks (New Zealand) 15-12 in a thrilling final at Ellis Park. This was a unifying and nation-building moment for all South Africans, after overcoming decades of racial segregation. Again in 2010, South Africa made history when it hosted the 2010 FIFA World Cup, a first for the African continent. The legacy of this historic event is noticeable in the tourism industry and saw an improvement in road works, airports and the stadiums. Significant infrastructure has since been realized since the World Cup and it is reported that 130 000 jobs were created, even though the majority were only temporary construction work. Being a host country for such huge sports tournaments, has no doubt put South Africa in the spotlight and shunned away any misconceptions of crime and fears that once prevented people from exploring and enjoying South Africa. This has opened many tourism opportunities that the country has capitalized on, from apartheid museums and history learning to exploring the safari and wildlife or the hidden costal beaches. Many international visitors continue to seek South Africa as their number one holiday destination. As President Nelson Mandela once said: “Education is the most powerful weapon which you can use to change the world.” During the apartheid era, the right to education was often not equally spread , black learners received the poorest quality education, while white learners received the best the quality education. Since 1994, the country has invested a great deal in education, especially for previously disadvantaged learners (black). Hi The University of Cape Town is consistently recognized as one of Africa’s best universities in the world, this attracts students from all over the world to the country’s tertiary institutions because of the quality and affordability of the academic institutions in the country. The education offered in South Africa is continuously improving and is of a standard that can compete within the international spheres. 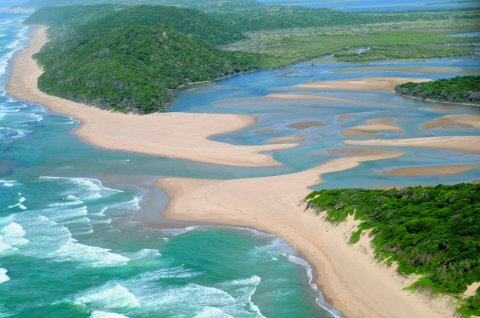 In 1999, isiMangaliso Wetland Park was named as South Africa’s first World Heritage Site in recognition of its superlative natural beauty. In 2011, Table Mountain was voted as one of the New7Wonders of Nature in the world. This shows that when it comes to tourism and travel, the country has more to be proud of and an extensive experience offering for visitors all around the world. Cape Town in the Western Cape province, continues to be listed as one of the most beautiful cities in the world and is no doubt a luxury holiday destination for South Africans and international visitors. A lot has happened in the past 25 years and Tourism South Africa continues to grow and become a sought after treat especially amongst young people. There is also a growing number of young adults who are taking advantage of their beautiful land and using social media as an influence to attract international visitors. The question is though, how have you experienced South Africa in the past 25 years and how well do you know your country?